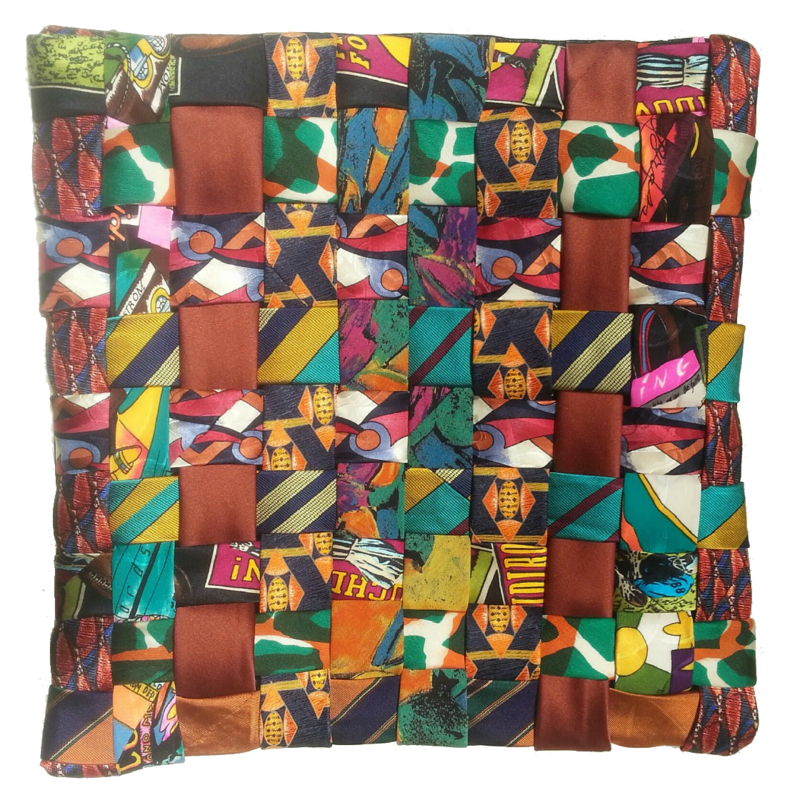 As featured in Ladies Home Journal, I weave men’s silk ties and ladies silk scarves into beautiful tribute pillows ideal for retirement gifts as well as for a memorial for survivors mourning the loss of a loved one. 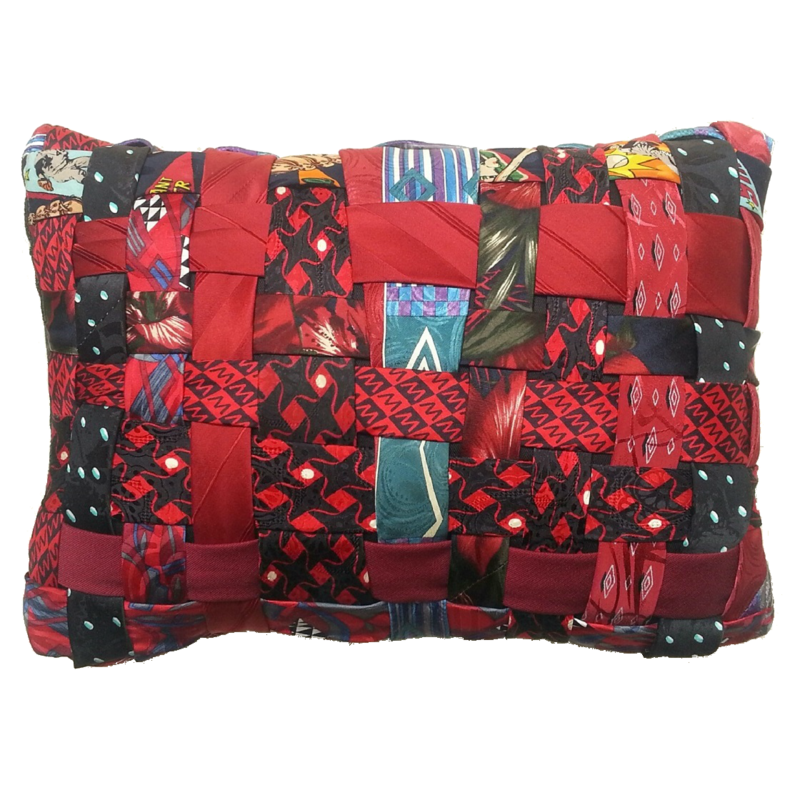 These tribute pillows are especially meaningful to children and grandchildren who can have it and hold it. 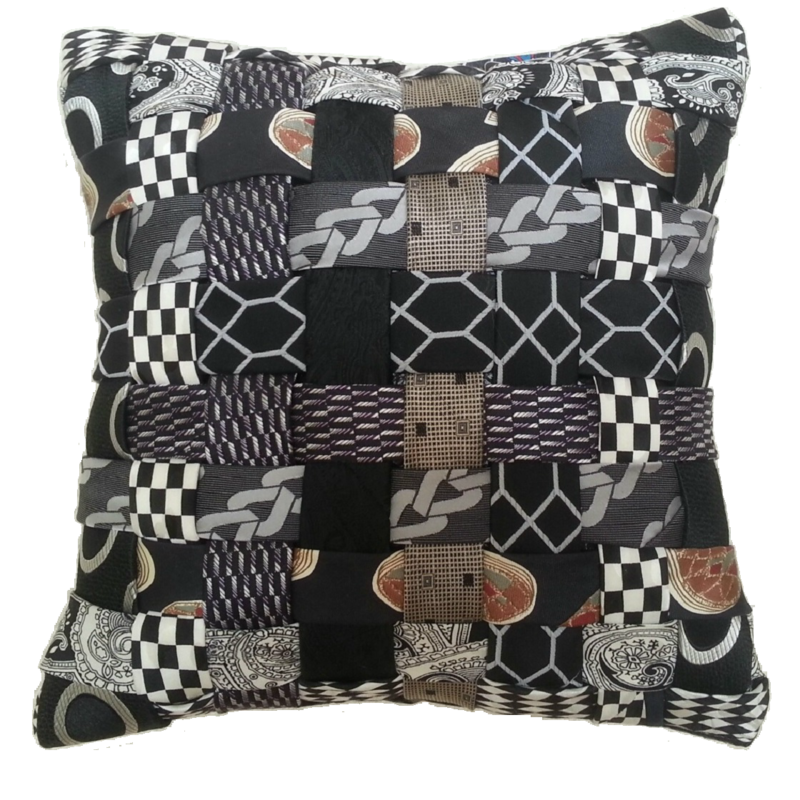 Hand woven, each pillow is an individual work of art. You supply the ties or scarves and the memories, I provide the tribute pillow cover and pillow. I like the challenge of recycling something that’s outgrown its original purpose and turning it into a handmade work of art. What do you get the man who has everything? My husband is hard to shop for, and with his 60th birthday coming up, he deserved something nice. When he saw the tribute pillow he said it was the most thoughtful birthday present he’d ever received, and it made me feel great! My husband passed away recently and all I can say is that you’ve created something that is far more beautiful to look at than his urn of ashes. 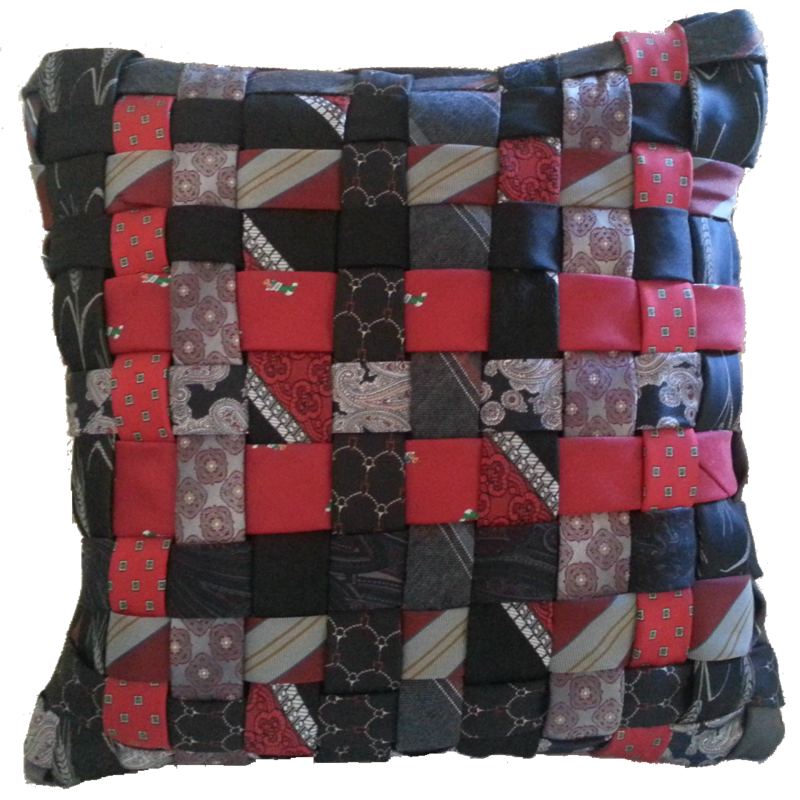 The pillow reminds us of so many happy times, and all the silly ties he loved to collect. Thank you so very very much! The anniversary pillow you made is on our bed! 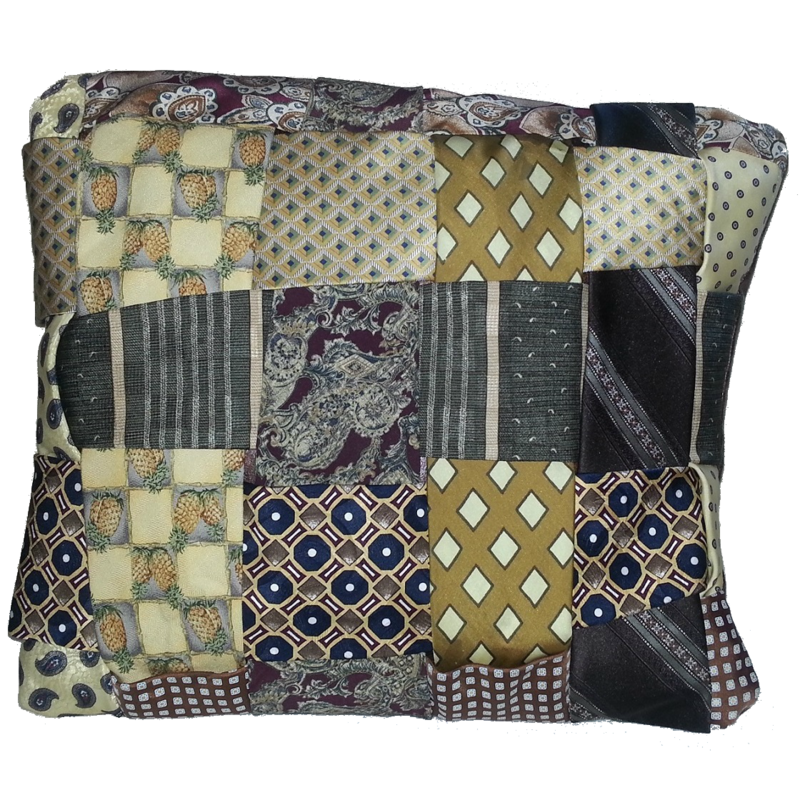 It is woven with wondrous times in our lives and each night before we go to sleep, the pillow reminds us of how blessed our lives have been. A wonderful gift to ourselves! 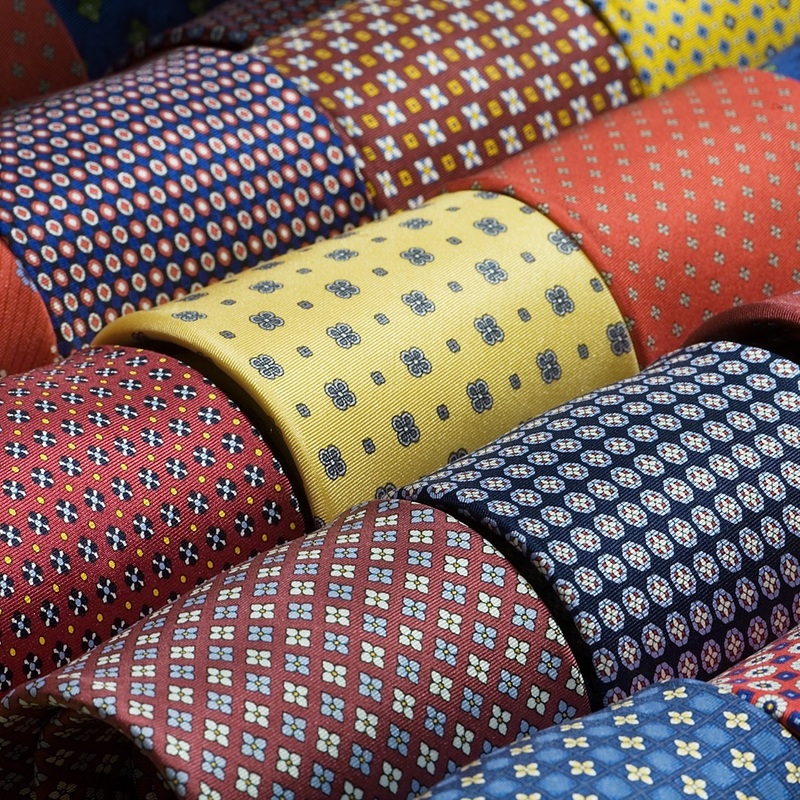 When I was approaching retirement I joked with my son that we should have a barbeque for all my ties. Next thing I knew the bulk of them had vanished from my closet, and at my retirement party he surprised me with a custom pillow. I couldn’t be happier.